With A2X you can choose how you would like to group your data. 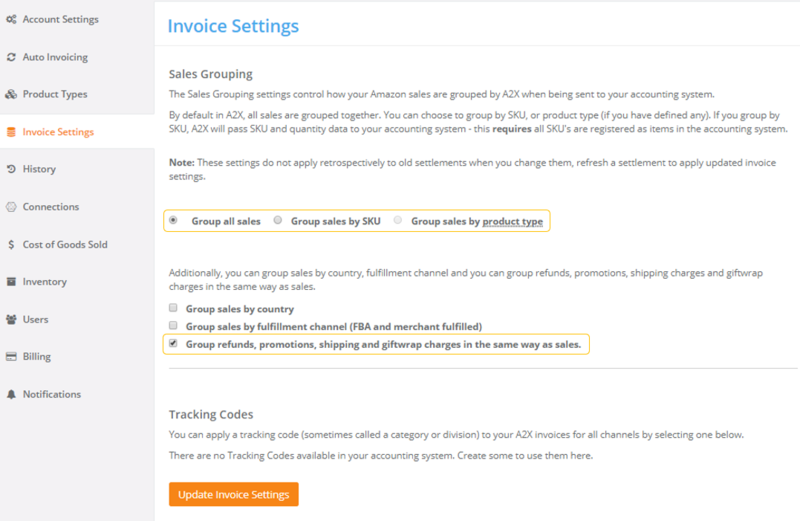 This grouping selection can be applicable to just the sales data or you can choose to 'Group Refunds, Promotions, Shipping and Giftwrap charges in the same way as sales'. That way all of your settlement data will be grouped as per the first selection on the 'Sales Grouping' settings page. In our example below we have chosen to Group All Sales' together therefore Refunds, Promotions, Shipping and Giftwrap charges will be grouped in the same way.